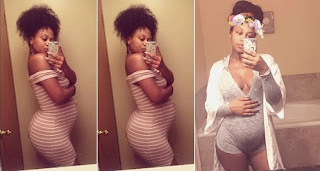 Amanda, Davido's baby mama to be shared a new photo of herself, flaunting her already growing baby bump on Instagram. 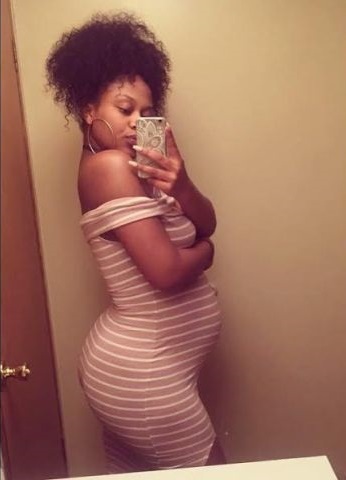 Sequel to this, Davido was rumoured to be expecting a second child with his atlanta- based girlfriend of which he confirmed true. He said during the interview that all those criticising him of having baby mama's are nothing but hypocrites.. He further spoke about the numerous rumours about him . “You know all they knows how to do best is to attack me, they are fond of saying negative things about me but i don't care. You know why? Because i always hit them back with my music , which to me is the most important thing .